I’m always on the lookout for tools that help promote reading skills. The more ways that you can present a learning concept to a child, the better. This is why I think that Er.u.di.tion, a board game for ages 3 & up, should be a family and school staple—and is most likely why it has been the winner of numerous awards. 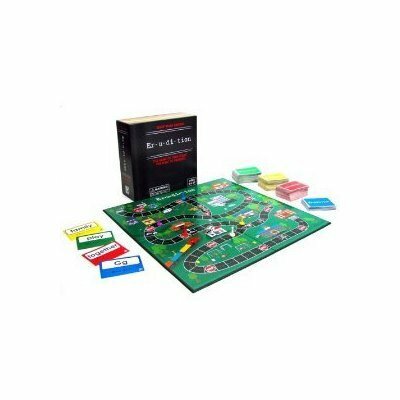 The game has been designed to effectively meet the needs of different reading levels: beginner, intermediate, and advanced. Beginners will learn the alphabet and basic phonics, while intermediete to advanced readers will work towards spelling and comprehension. My only additional reccomendation is that you may want to play the game in two sittings with the youngest players. Besides that, it’s fun and educational—a great combination!